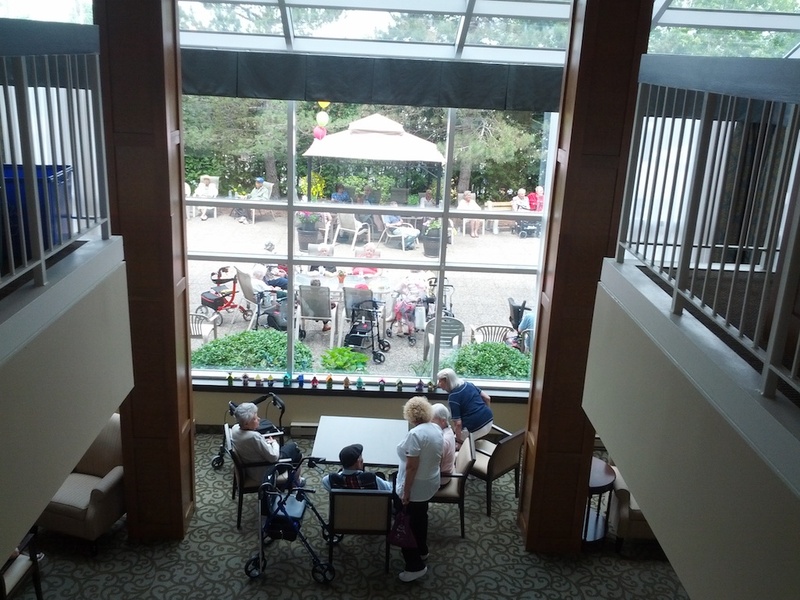 Bells Corners retirement homes get inspected for food safety violations. 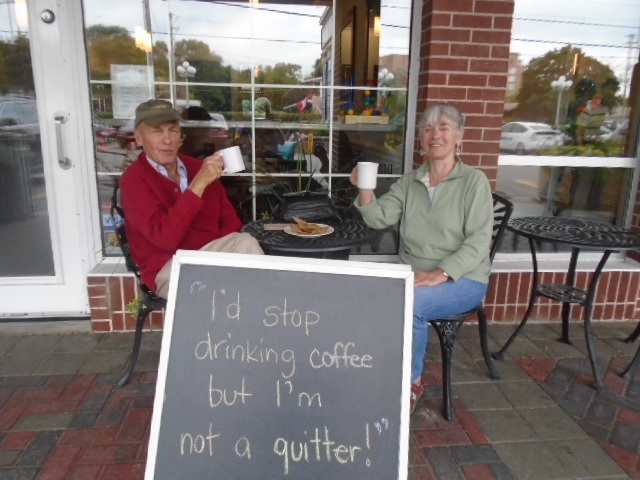 Growing old in Bells Corners. 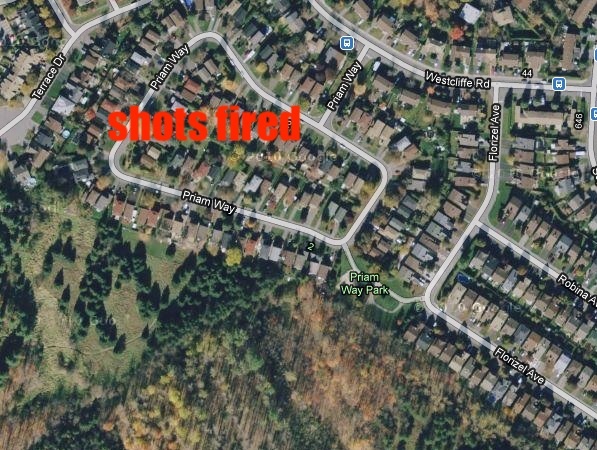 Multiple shots fired on Priam Way. Police found multiple shell casings and a vehicle was damaged. 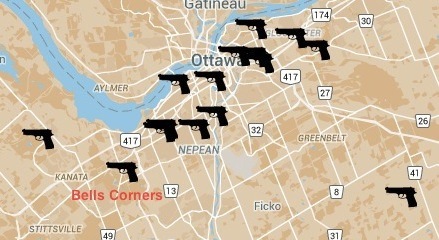 Guns and gangs is investigating. 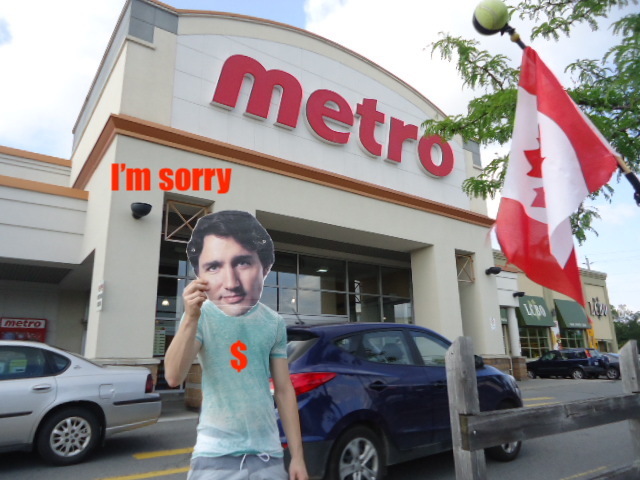 Justin apologizes at the Metro for breaking the shopping cart rules. 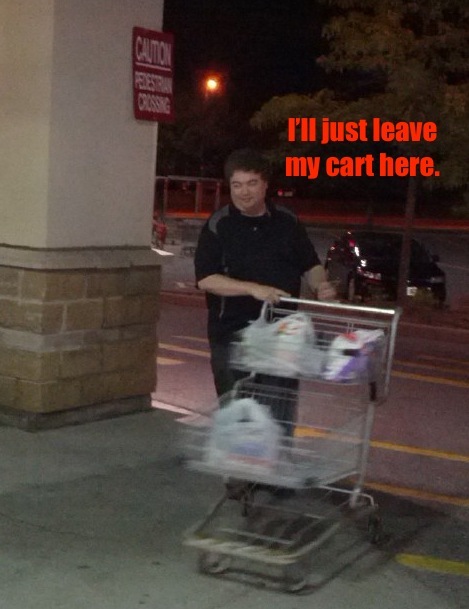 Shopping cart wars rage on social media as Rick ignores the rules. 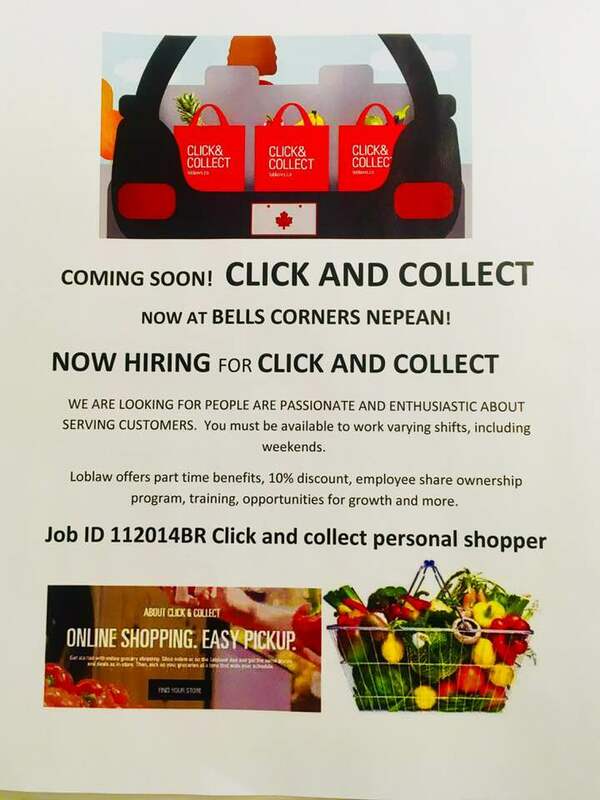 Will online shopping help keep the Bells Corners Loblaws open? 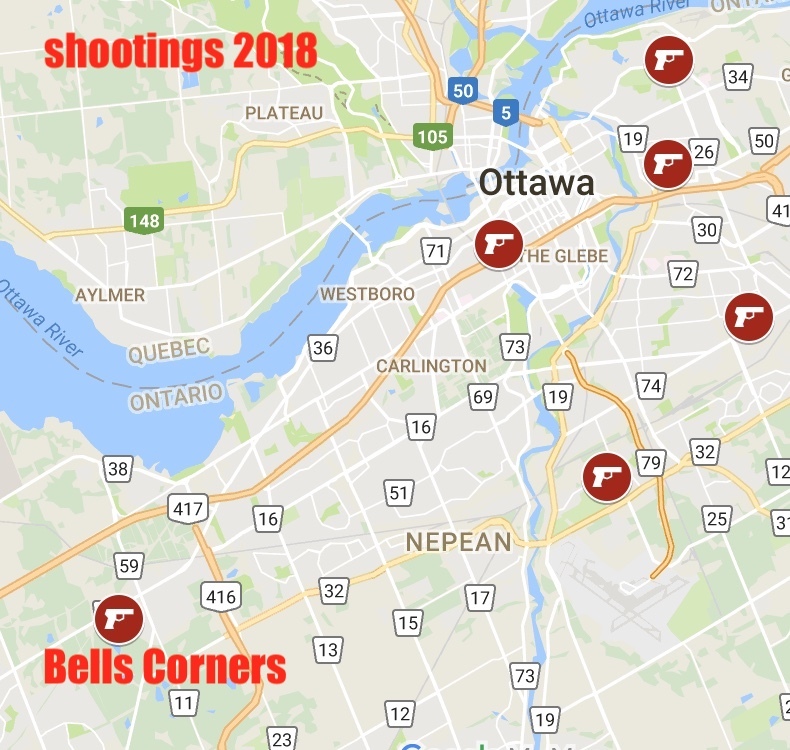 A 17-year-old boy walking in Bells Corners Wednesday night was allegedly killed by a driver who was later arrested naked near the scene of the crime. Nicholas Hickey was mowed down by a driver around 8:30 p.m. Wednesday on Seyton Drive near Hamill Court, this newspaper has learned. Police have ruled his death the city’s second homicide of the year, and the man police believe killed him is expected to be formally charged with second-degree murder Thursday afternoon. 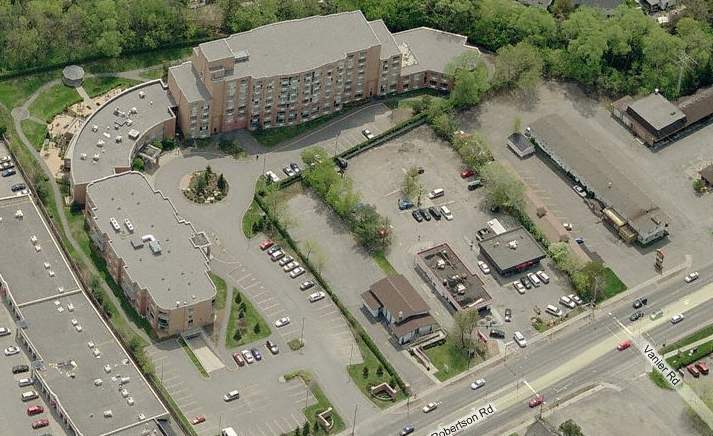 Hickey attended Ottawa Technical Secondary School, a vocational school on Donald Street in Vanier. Hickey’s death came after police believe the suspect had already hit at least one other vehicle and a light standard in the same area. Witnesses described seeing the series of collisions that ended when Hickey was lying on the ground. 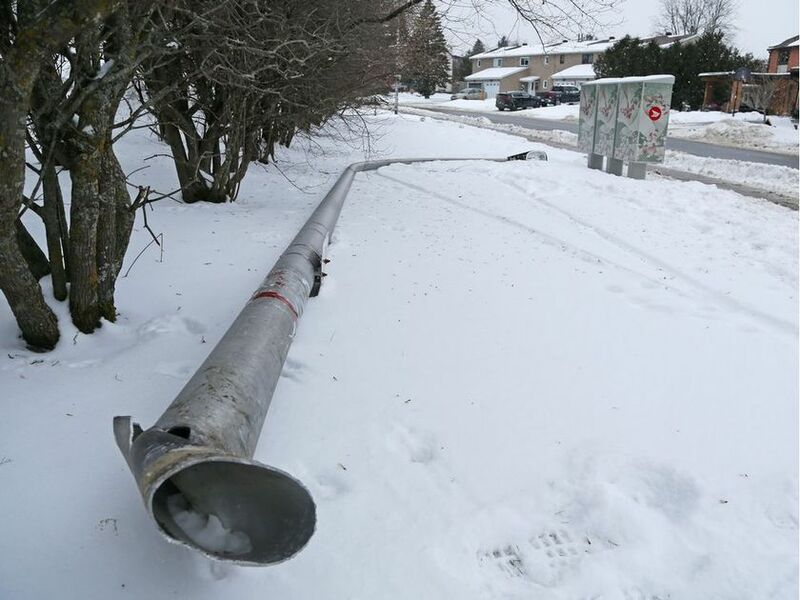 A neighbour said she heard a “loud bang” just after 8:30 p.m. and assumed it was a snow plow going past. 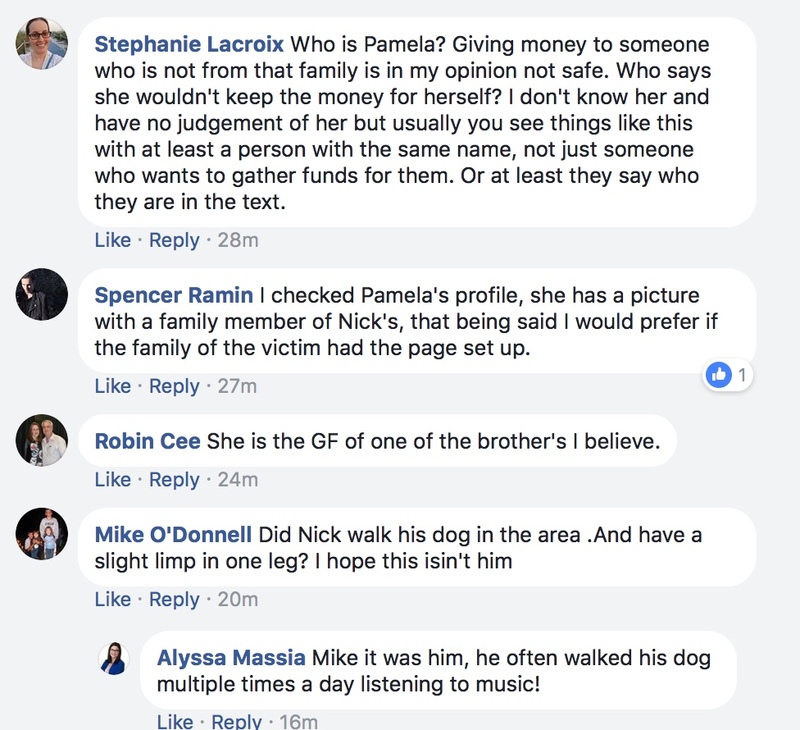 She went outside when the street filled with lights and sirens, and saw the victim lying on the ground on the east side of the road, near the community mailbox. 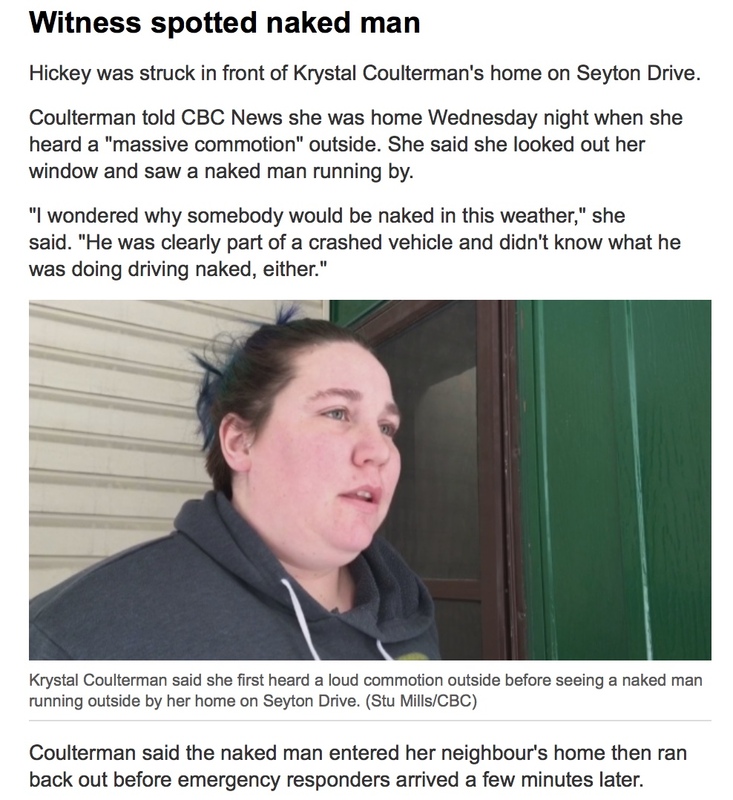 The driver allegedly hit the teen, who was on foot, before stripping down and running around naked through the neighbourhood. The suspect then began allegedly smashing the windows of an OC Transpo bus, which was originally reported to police as an attempt to hijack the bus. The man then allegedly fled to nearby homes where he’s believed by police to have knocked on multiple doors, demanding guns. Responding officers located the naked man inside another person’s Jeep when they arrived on scene. He had been blaring the horn a few moments earlier. Morgan Sharpe, 21, said she came home to find police and emergency crews all over Seyton Drive. “I also saw a pair of pants lying on the road,” she said. The suspect in the spree was taken to hospital Wednesday night and remained there Thursday morning, guarded by police. He was expected to appear in court Thursday afternoon. 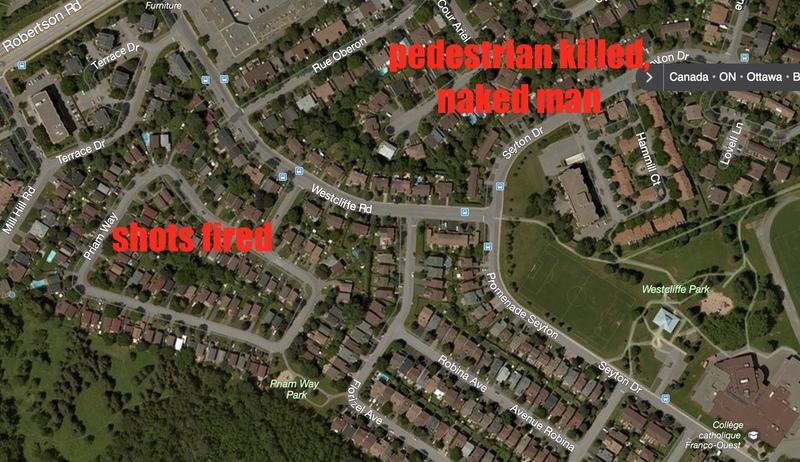 naked man identified as Guillermo Escobedo-Hoyo, a 37-year-old paralegal who lives 200 metres from the scene of the tragedy. The 37-year-old man charged in the death of a teen who was struck and killed by a vehicle sobbed during his second court appearance Friday when he was told he wouldn’t be immediately released from custody. Nick Hickey needed his daily walks. Every day. Multiple times a day. They calmed him, relieved his stress, gave him time to collect his thoughts and cope. He walked his support dog, Nico, mostly, but some times he walked alone. 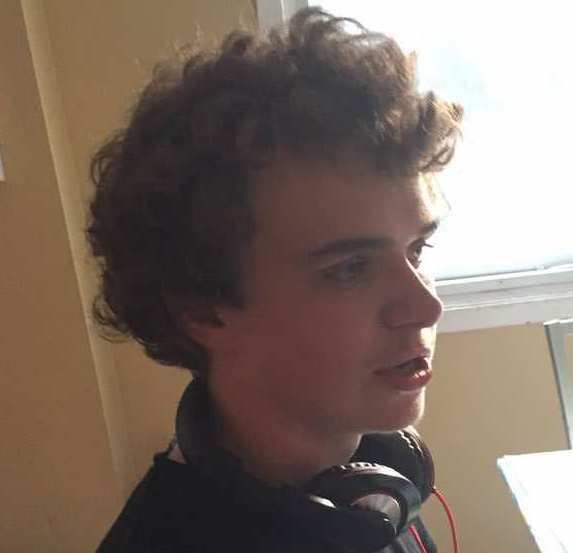 Hickey, 17, was fatally struck by a driver Wednesday night during what police allege was a frenzied spree through Bells Corners that only ended once police arrested a man who was found naked after breaking into a nearby Jeep. Hickey was on one of his walks near Seyton Drive and Hammill Court, just minutes from his home, where his family slept through the night thinking he would come back, as he usually did. 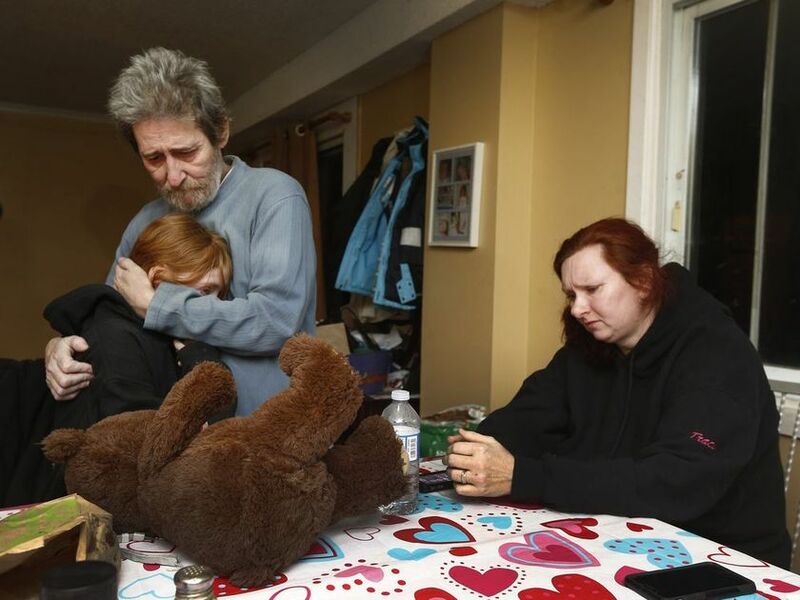 At 4 a.m. Thursday, Tracy Mellon awoke to the loud pounding of two Ottawa police officers at her door, there to tell her that her son was dead. 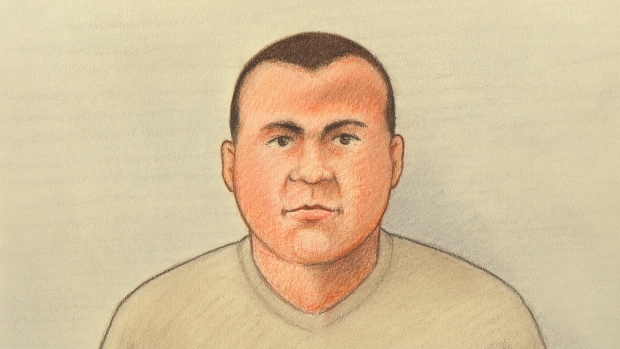 The man police alleged killed Hickey during a series of collisions Wednesday night was formally charged on Thursday with second-degree murder in the vehicular homicide — a rarity in Ottawa. 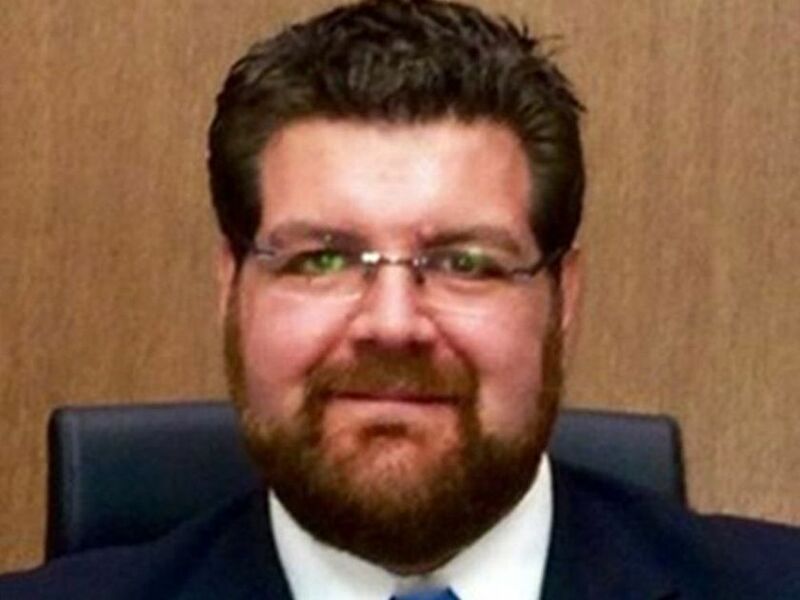 Guillermo Escobedo-Hoyo, a 37-year-old paralegal at Auger Hollingsworth, according to his LinkedIn profile, appeared in court by video. Hickey was struck after police believe Escobedo-Hoyo had already hit at least one other vehicle and a nearby light standard. 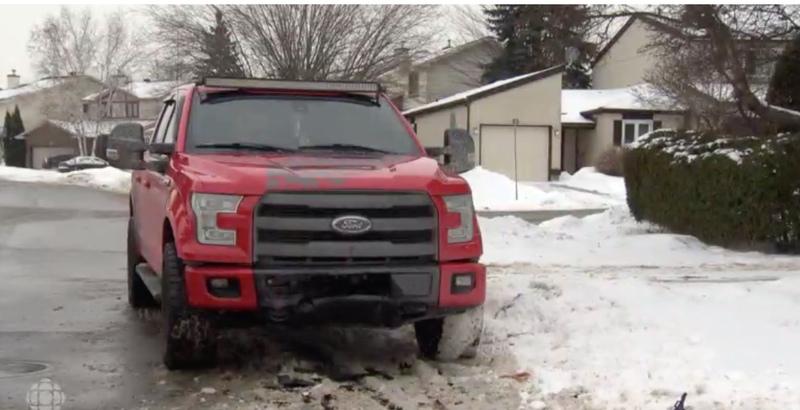 A neighbour said she heard a “loud bang” just after 8:30 p.m. and assumed it was a snow plow. She went outside when the street filled with lights and sirens, and saw Hickey lying on the ground on the east side of the road, near the community mailbox. Escobedo-Hoyo is alleged to have struck the teen with a silver car before stripping down and running around naked through the neighbourhood. He then allegedly began trying to smash the windows of an OC Transpo bus in what was originally reported to police as an attempt to hijack the bus. 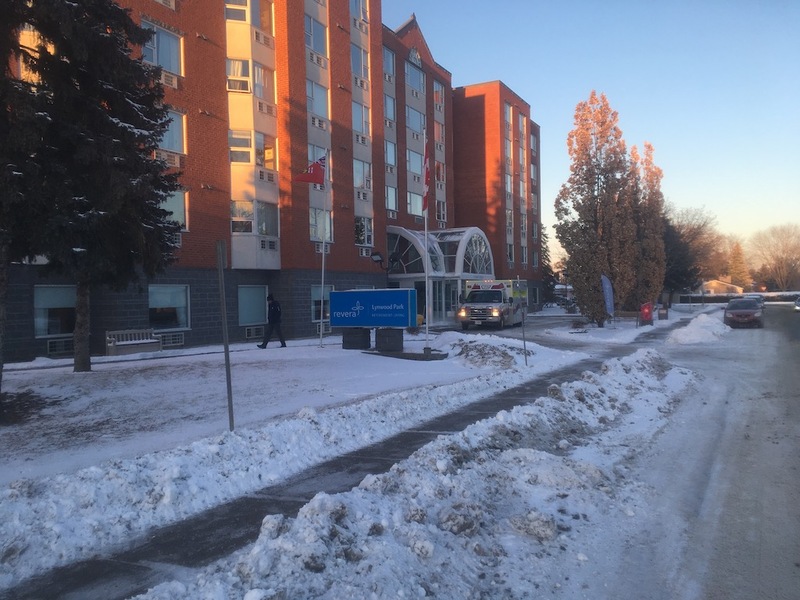 The City of Ottawa, citing the ongoing police investigation, would not comment on what happened to the city bus or any of the passengers on board. Escobedo-Hoyo is then alleged to have fled to nearby homes where he’s believed by police to have knocked on multiple doors, demanding guns. Responding officers located the naked man inside a Jeep when they arrived on scene. He had allegedly been blaring the horn a few moments earlier. 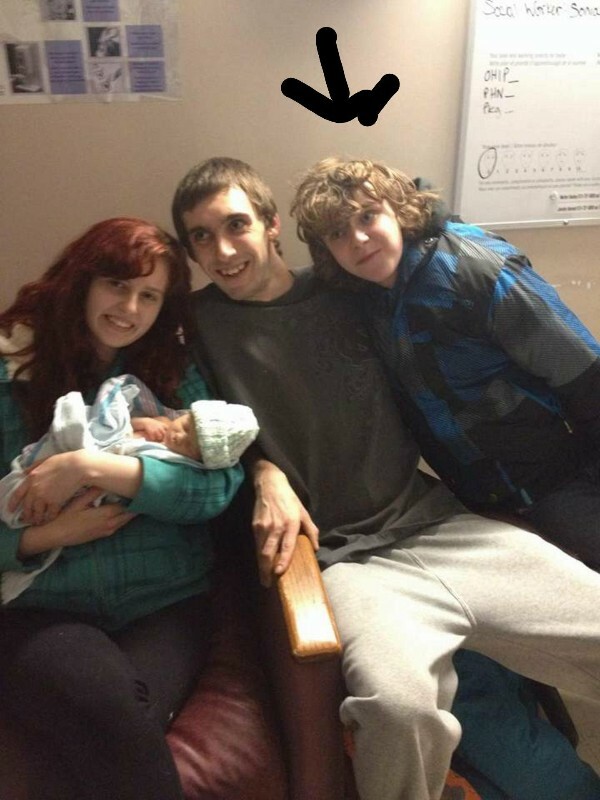 Hickey’s family remembered the teenager as kind and good. 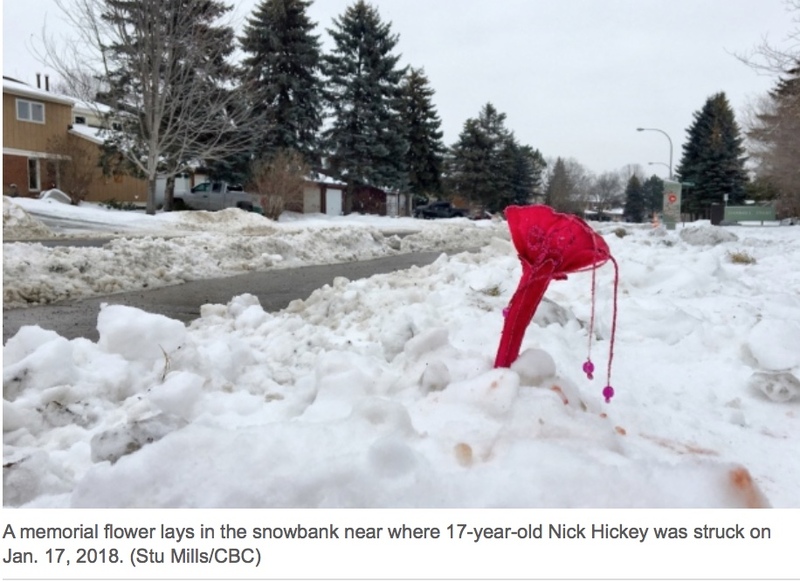 “Nick is a really brilliant young guy,” his mother said, sitting at her kitchen table. 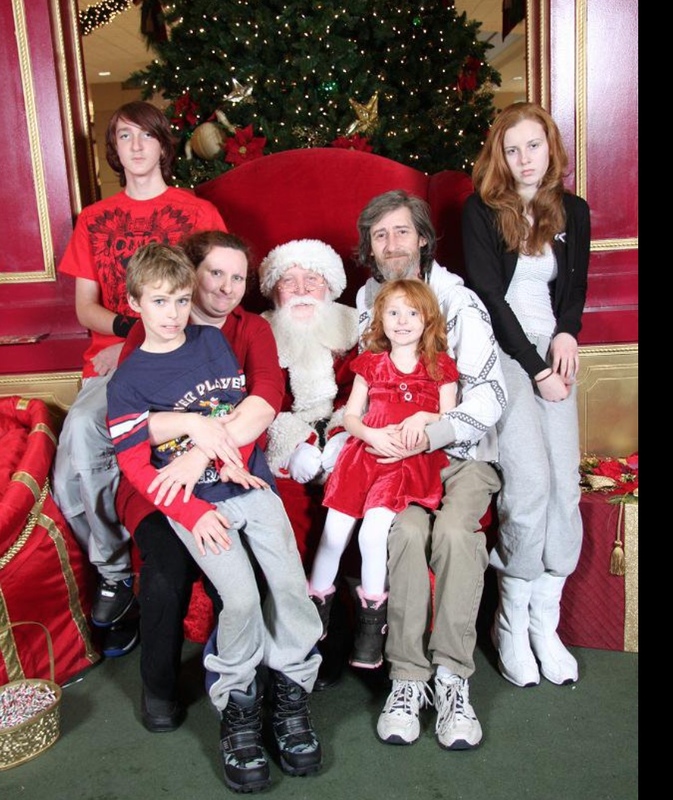 His family had long dealt with Nick’s behaviour struggles. He lost his biological father in 2009, and now, seemingly against all odds, he was so close to getting his high school diploma. 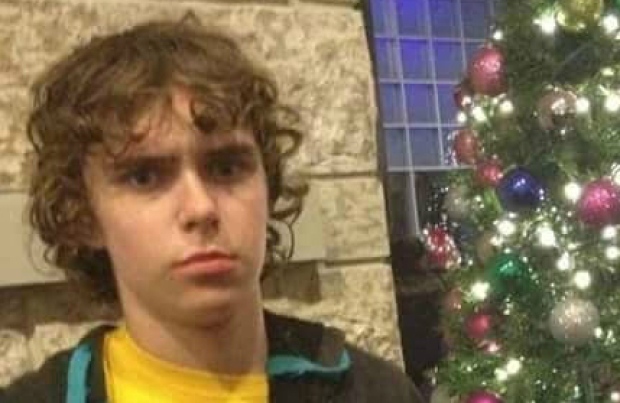 Hickey’s family credits the work of staff at Ottawa Technical Secondary School, where he was enrolled in the behavioural intervention program. “It was difficult for him, but he came around and he loved it,” Tracy said. “The reality is he struggled all his life,” his father Peter Mellon said of what is now the second child he will have to bury. Hickey was so smart, but he had a hard time dealing with people and different techniques of teaching. 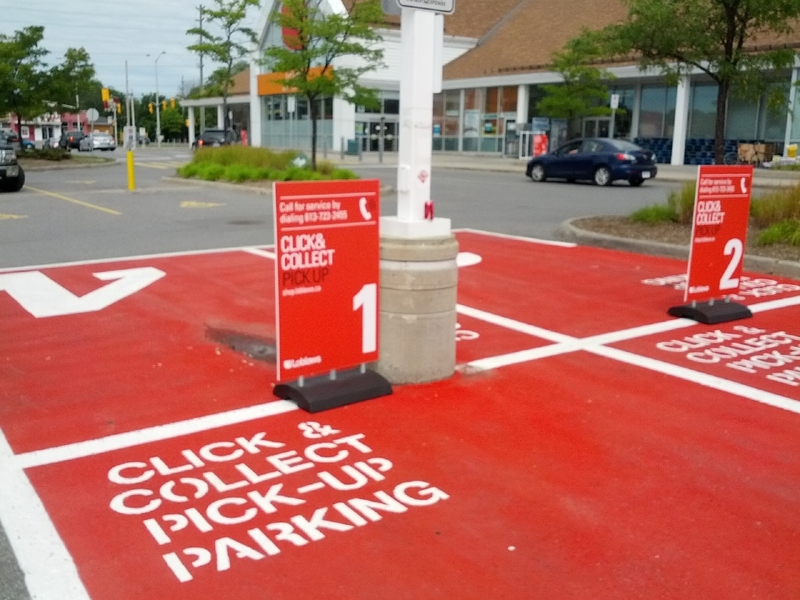 But at Ottawa Tech, something just clicked. “They got to him,” Peter said. 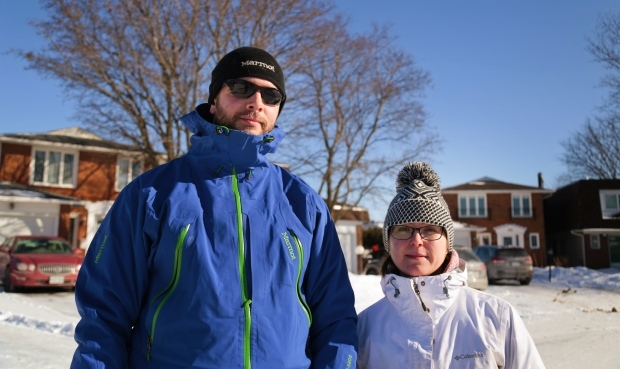 He was getting the grades and went from being a child who hated going to school to one who literally took a city bus to get to school in Vanier on a snow day. “This child had a future,” Tracy said. His lawyer Samir Adam declined to comment outside of court Thursday. 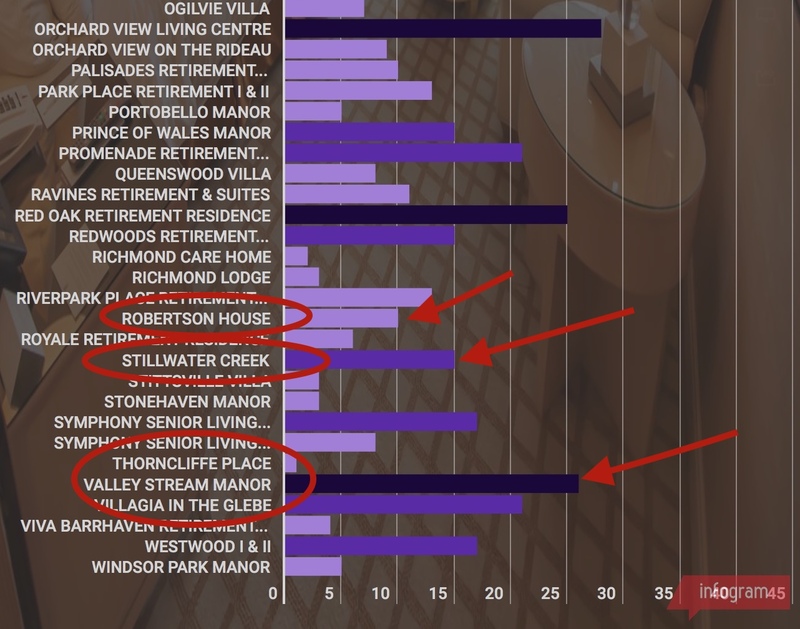 Auger Hollingsworth, the person injury and criminal defence law firm most known for their television commercials, also didn’t reply to a request for comment. 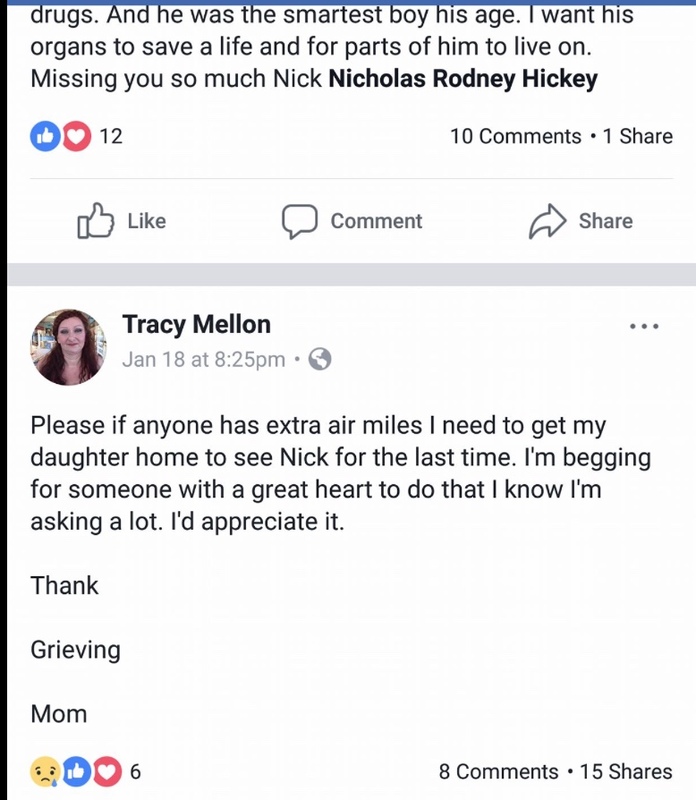 Tracy Mellon wants to know what was going through the mind of whoever killed her son “that he could desperately rip my child out of my family’s life and mine. “He aimed for him. He murdered him,” Hickey’s grief-stricken father said. He yearned for a time when people believed they didn’t have a right to flout laws and do whatever they want. 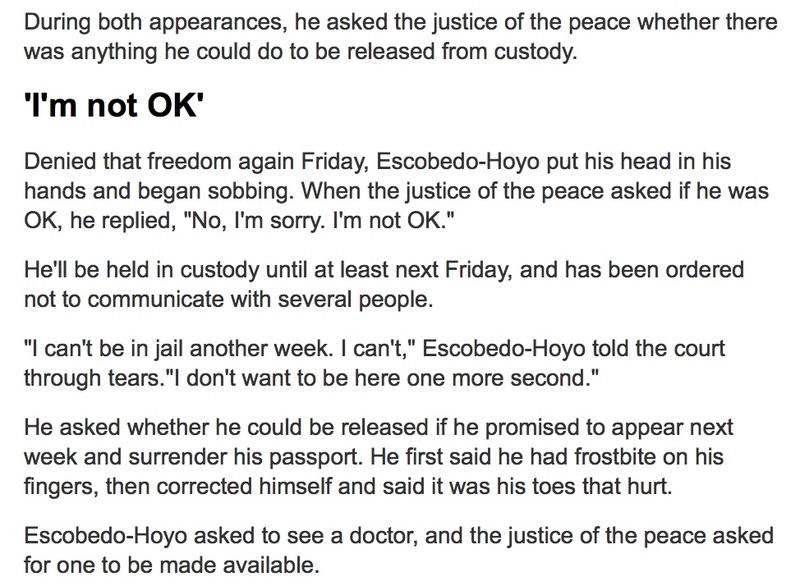 None of the allegations against Escobedo-Hoyo, who has no criminal record, has been tested in court. He will remain in custody at the Innes Road jail, where he will be getting three meals a day. Ottawa Technical Secondary School sent a letter to all parents of its students who went to school with Hickey. Escobedo-Hoyo was scheduled to appear in court again on Friday morning. Allegedly killed, he has only been charged, not convicted. Matt Atkinson ok you can’t allege this case. He was driving he hit the poor kid. Nothing alleged about it. And he was naked because…. Sorry I don’t feel sorry for you. I feel for that poor child and his family. God give them strength. I would feel sorry for him (slightly) if he wasn’t found naked outside of his vehicle. This indicates he was most likely HIGH on God knows what designer drug and therefore it’s completely his fault. He should not have been driving. It wasn’t just an innocent accident. 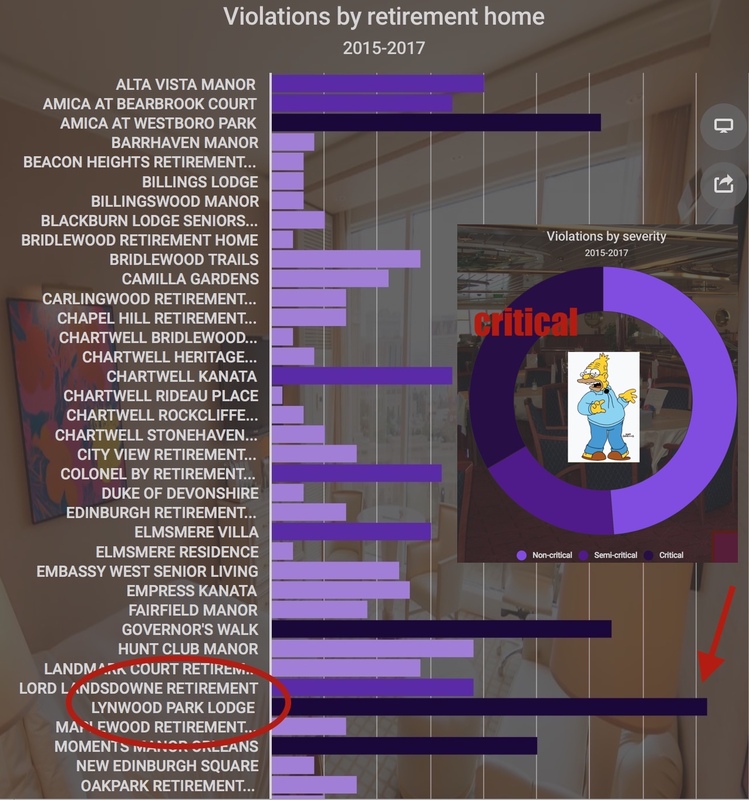 And he’s crying about going to jail. At least you’re going ALIVE. That boy didn’t get a say. So sad. Tell that to the parents of the 11 year-old victim! The victim was 17. His sister is 11. You’re crying saying you can’t be in jail but you think that kid wanted to die. I hope you suffer. I’m glad he will be mentally tortured with remembering each and every day in jail what he did to the boy. I feel so sorry for the kid’s family. I must admit that the story of what the driver did is very bizare, I wonder what was going on with him. He was running around naked and then hides in a jeep. Something was not right that is for sure. It sounds like this guy is really not mentally stable. What a very sad tragedy for this young boy’s family. Well if he’s really sincere, they should just let him go and forget about it. Judge sounds he did everything but rub this dudes frost bitten feet! 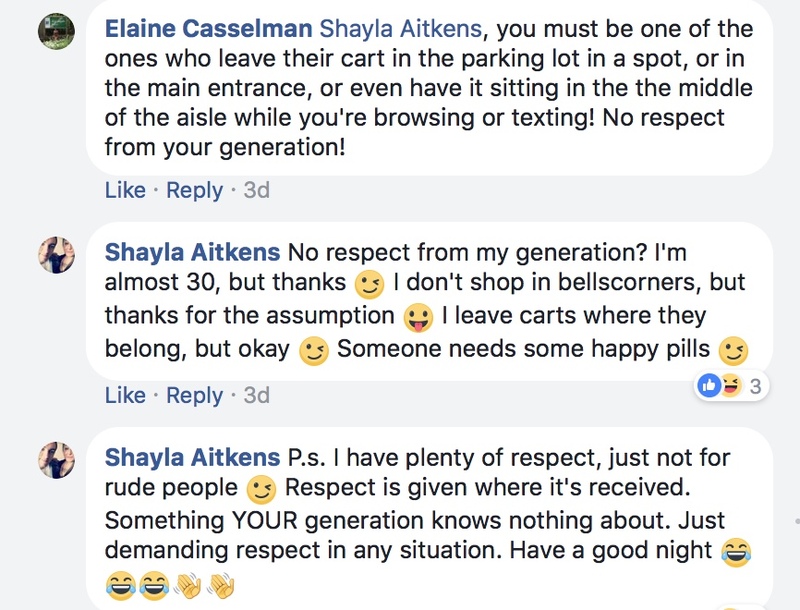 NO BAIL FOR YOU! Are we supposed to feel sorry for him? Don’t feel sorry at all for him. 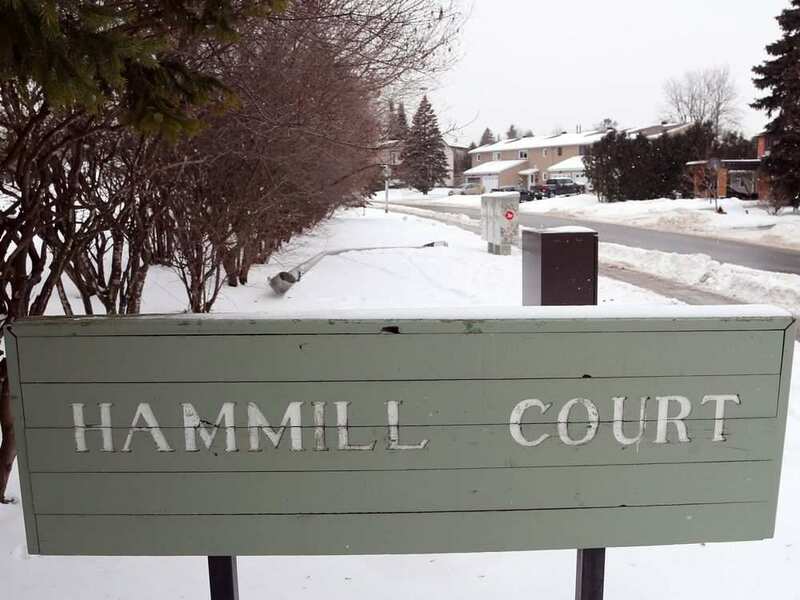 Escobedo-Hoyo — a paralegal at Auger Hollingsworth, according to his LinkedIn profile — is represented by lawyer Samir Adam and will remain in jail until a bail hearing, which has not yet been scheduled. The community of Bells Corners has, meanwhile, banded together to help support Hickey’s grieving family. Several area businesses have donated items for a raffle, with all proceeds from the sale of $5 tickets at the Robertson Road FreshCo going to the family to help bury Hickey. Bells Corners Physiotherapy has committed half — $45 – of every assessment until Family Day to the family. Community neighbours are also pitching in to help the Mellon family with meals and household tasks.